It's a false notion to believe that a plumbing job begins when wrench meets pipe. Even before we knock on your door, as Mr. Rooter® plumbers we are careful to park our truck in a courteous manner that won't disrupt you or your neighbors. This habit sets the stage for a courteous plumbing experience. You may not think courtesy is an important part of plumbing, but it's actually one of the most important tools we carry. Sure, courteous behavior won't unclog a drain or stop that pipe from leaking, but plumbing repair is about much more than drains and pipes. It's about respecting you, the customer, and leaving your home cleaner than we found it. If you want to get an idea of just how polite Mr. Rooter plumbers are, consider these five great movie characters that are ALMOST as courteous as we are. 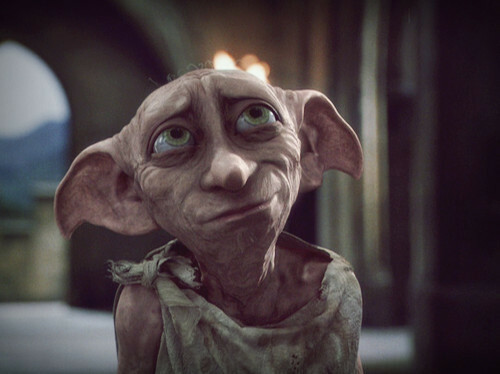 Despite the fact that Dobby serves Dark Wizards and is often treated with cruelty, he remains a highly courteous creature, both to his masters and to other wizards. He always speaks politely to those around him, even bowing low when greeting certain wizards he respects. Eventually he is freed from his servitude thanks to a trick Harry Potter plays on Dobby's master. Dobby maintains a positive attitude and revels in his freedom, though his unending focus is to ensure Harry's safety. Eventually Dobby gives his life protecting Harry when he takes a knife to the chest that would have hit Harry if Dobby had not been there. As a protocol droid designed to serve humans, C-3PO exudes politeness in every situation. In fact, one of his major functions is to assist with etiquette, customs and translation when different cultures meet. With his ability to understand over six million forms of communication, C-3PO is the best diplomat you'll find anywhere. His British accent helps, too. While Captain American was originally featured in comics and starred in his own movie in 2011, his courteous nature shines most in The Avengers when he is juxtaposed with Iron Man/Tony Stark and other less-than-courteous members of the superhero team. He is the most patriotic superhero the world has ever seen, and his courtesy reflects the fact that he's from the World War II era. Without fail, he treats women and others with chivalry and remains patient in the most trying situations. Hobbits are mild creatures with a love of simple things. They are so polite that they even give gifts on their birthday instead of receiving them. When Bilbo's home is overtaken by dwarves who want him to share in an adventure, he doesn't act rudely or kick them out. Instead, he hands over his very dinner and helps the dwarves make themselves at home, though he is reluctant to do so. Even when he finally agrees to join the adventure, Bilbo remains quiet and polite, a stark contrast to his greedy and loud-mouthed companions. Will is a quiet, reserved blacksmith who treats Elizabeth Swann with courtesy and respect, unlike the scallywag pirate, Captain Jack Sparrow. Will gets a taste of pirate life, but continues to stand out like a sore thumb because of his polite ways. He remains a man of his word, dedicated to keeping his promises, which makes him a great friend and ally. If you want to work with a plumber that's even MORE courteous than these movie characters, contact Mr. Rooter today.